Now that we've got Halloween out of the way, it's time to start eating some turkey and buying gifts for your favorite people. Historically, construction professionals can be difficult to buy for, so we've compiled a list of products that we think would be home runs for that special person on your list or even help you decide what you'd like to ask for. We've got hands-on experience with many of these products and we like some so much that they also showed up on our 2015 Holiday Gift Guide! The list is broken up into four categories: stocking stuffers (small and inexpensive), apparel, tools, and kids. Be sure to check out our 2017 Ultimate Construction Holiday Gift Guide, as well, for even more ideas! Did we miss any products that you'll be looking forward to receiving or giving this year? If so, please tell us in the comments! Regular markers can't handle the conditions that construction workers, wood workers, and many DIYers put them in, so Milwaukee Tool had to do a little something extra. 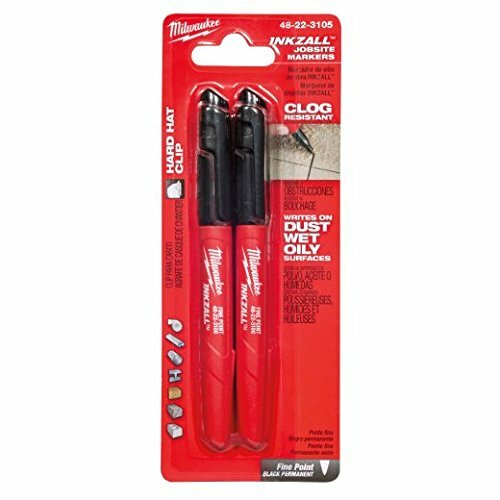 Their Inkzall markers are clog resistant and can write on dusty, wet, and oily surfaces, which are often run into while working on projects. At less than $4, these aren't going to break the bank, but can save tons of time and aggravation. If you pack your lunch, you need to eat your lunch in style. Who better to help you with that than Ka-bar, the extremely popular and trusted knife maker? 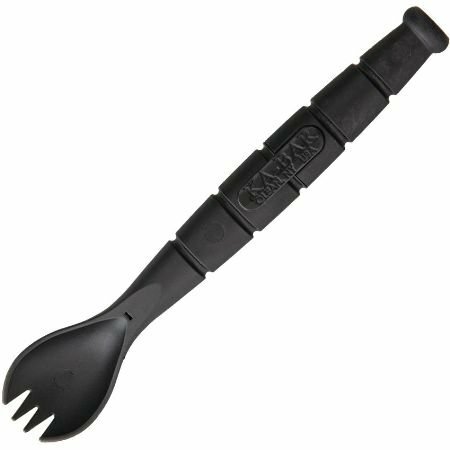 Made of Grilamid, a high strength and food safe plastic material, this spork/knife combo is as tough as plastic cutlery gets. The tool is 6.875” in total length with a 2.5” knife inside the handle and weighs in at 1 pound. When you’re finished, clean it up and use it for lunch the next day. 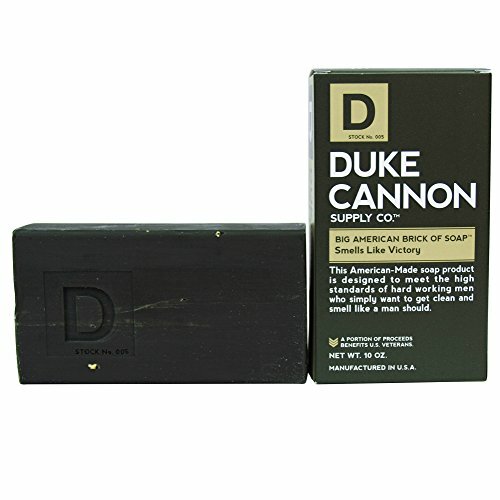 Modeled after the US Military troops used during the Korean War, Duke Cannon's "Big American Brick of Soap" is three times larger than a regular bark of soap. According to the company, the seagrass fragrance "smells like victory." Steel cut grains throughout the bar supply texture and exfoliation. Not only are the bars tested by active duty U.S. Soldiers, a portion of all proceeds will also go towards supporting US Veterans. These half screwdrivers/half lightsabers will definitely not replace your day-to-day hand tools, but they're definitely a cool novelty item for hard working Star Wars Fans. The 3 piece Star Wars Lightsaber “Tool Kit,” is currently available on ThinkGeek for $9.99 (regularly $19.99). Included in the set is an 8” flathead “Lightscrewdriver” that looks like Vader’s saber, an 8” Phillips that looks like Luke’s, and a 6 ½” flathead that looks like Yoda’s. Even if these don’t work for you on the jobsite, there’s no doubt they’d be a big hit as part of your child’s first tool set. 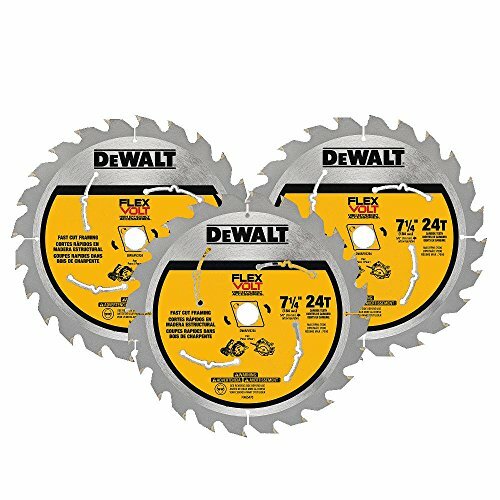 DEWALT DWAFV37243 Flexvolt 24T Circular Saw Blade (3 Pack), 7-1/4"
One of the most surprisingly underrated accessories of any tool is the blades. Not all blades are created equal and they should definitely be replaced if they get worn down, Much like a kitchen knife, tools are much safer and easier to use when they're sharp, so grab some of the newest and best blades on the market. 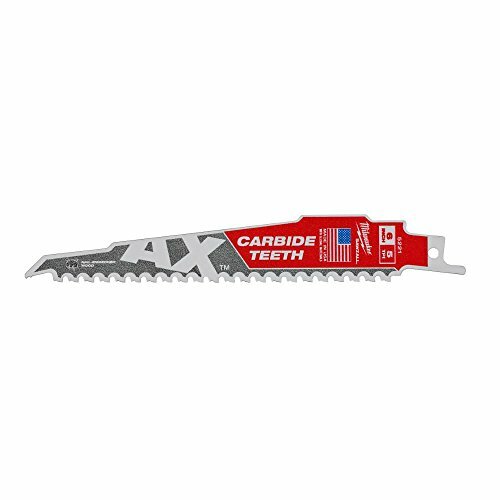 The two we've highlighted on this gift guide were just released in 2016 and we've got hands-on experience with them: the DeWalt FLEXVOLT 7 1/4" Circular Saw Blades and the Milwaukee Carbide Teeth AX SAWZALL Blades. Both promise longer life, more durability, and longer tool life. That's without mentioning that they cut like a dream. You can either buy some cheap, bulky gloves off the rack at the hardware store or spend just a few dollars more and get a comfortable, durable, and flexible pair of gloves to protect your hands. The Milwaukee Performance Gloves are a dream, they're one of the few gloves that I barely notice that I'm wearing. Plus, Milwaukee has smartly installed a SMARTSWIPE Knuckle on the index fingers, which will allow your touch to be picked up by your smartphone or tablet. You never have to fumble to get your gloves off to answer your phone again. 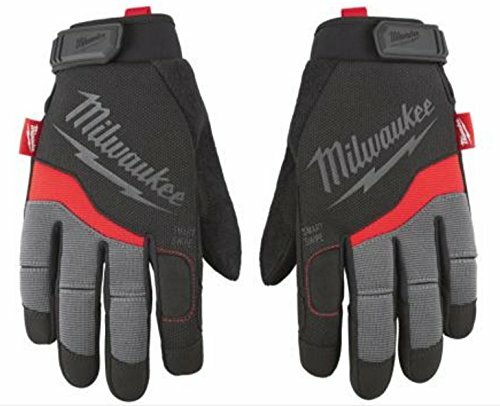 If you need a more heavy duty pair of gloves, the MIwaukee Demolition Gloves (around $20 on Amazon) are a great choice. 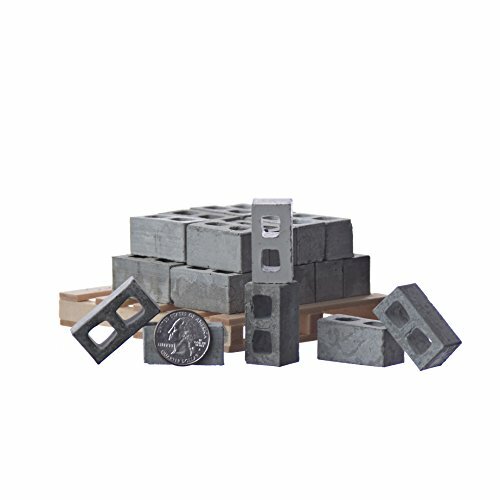 Mini Materials is a manufacturer of miniature CMU blocks, bricks, wood 2x4s, and pallets, which are all 1/12th the size of the regular sized versions. Used for either modeling or just for fun, Mini Materials can ignite your inner creativity of hobbyists and professional builders and designers alike. These are the perfect novelty item for a construction manager or project managers desk. If you’re on a large construction job where radios are a necessity, then you know how frustrating they can be to use at times. The mic cord is always tangled or the radio is in the way or falling off its clip (to get run over by a Lull or fall into a port-o-john). I have been looking for a less cumbersome way to carry and use my radio around my construction site and that is when I found the Radio Vest/Chest Harness. Keep your hands free and your radio out of the port-o-john for around $36 on Amazon. Working outside is one of the perks and drawbacks of the construction industry. There’s plenty of fresh air, but you also have to deal with some nasty and unpredictable weather. Enter Helly Hansen, who has been making weather resistant clothing for over 100 years. We suggest the Chelsea Waterproof Jacket in Racer Blue ($178.99 on Amazon) or the pictured Chelsea Work Pant in Timber (pictured). The jacket is wind and water resistant and has reflective elements throughout to keep you visible on the job site. The ultra-durable pants include a hide-able thigh pocket for accessories, reinforcements at the knee and bottom leg, and knee pad pockets for convenience. Cold weather is already here and there’s no end in near sight. Those who work outside need to be kept warm to be comfortable and productive, so what better way to do that than with a heated jacket. The new 2016 Milwaukee M12 heated jacket contains 3 different heating elements and provides warmth on a single battery for up to 8 hours. 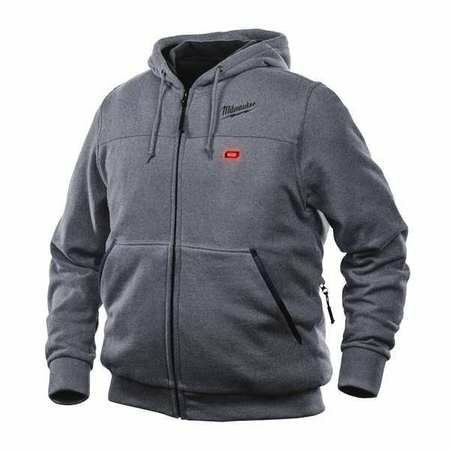 The same battery that is used for other Milwaukee M12 tools can be used with this jacket and also charge your phone using a USB port at the same time! There are also women’s sizes available, which you can find here. One of the best gifts you can give the hard working person in your life is the gift of comfort and safety, while also looking cool. Keen Utility is known for putting together a high quality boot that construction workers love to wear. 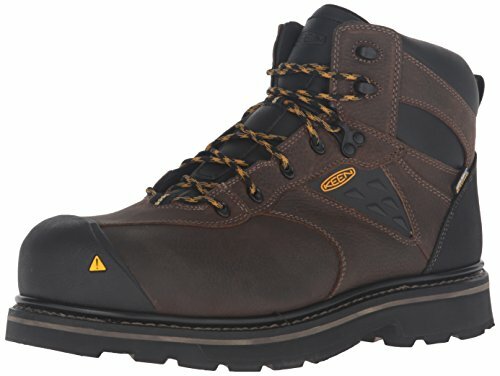 Personally, I’ve got the Keen Glendale Safety Boot ($179.95 on Amazon) and I haven't had a more comfortable boot in my life. The pictured boot is part of Keen's Tacoma series which released this year. We've also tested that series and they live up to Keen's high standard of performance. Boots range from soft toe to steel and composite toe and low height to shin high. There are plenty of different styles and colors to choose from, too, so you’re bound to find plenty of options. The new Milwaukee Tool M18 FUEL SURGE ¼” Hex Hydraulic Driver (2760-22) will offer increased durability and longer life, longer sustained torque, up to 3 times less vibration, and is around 50% more quiet than others in its class. SURGE, as the new concept is called, uses a FLUID-DRIVE Hydraulic Powertrain for its power tools, as opposed to the standard oil-impulse options they offer today. Cordless tool batteries made HUGE leaps forward this year for most of the major manufacturers. These newest batteries are making it possible to power larger and more powerful equipment, which greatly reduces the amount of necessary cords around the shop or jobsite. The first shown is the DeWalt FLEXVOLT, which powers both 20V DeWalt tools, as well as the new 60V tools, which we talk about below. 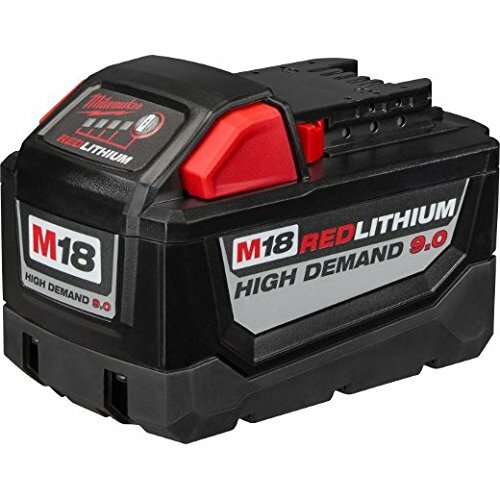 Milwaukee's competitor is a new 9.0Ah battery that provides very similar power output and run time for all M18 tools, but for those who prefer the red and black. 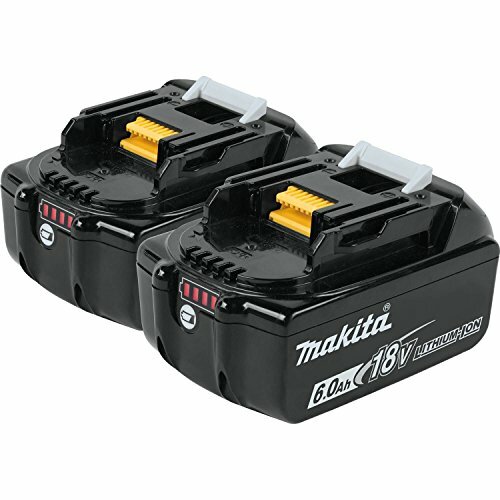 Makita recently released their 6.0Ah batteries, which are the same size and weight of the 3.0Ah batteries. Each have their advantages and disadvantages, but if you plan on keeping the same brand and upgrading the batteries, you can't go wrong with any of these options. 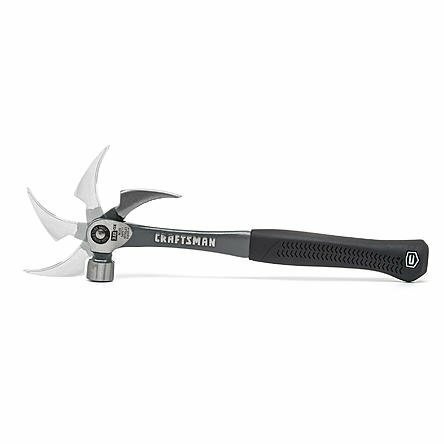 Craftsman has recently released an 18 ounce Flex Claw Hammer, which provides 4 different claw positions to give you greater leverage for prying at the perfect angle. Just press the button on the joint head, rotate it to the correct angle, release the button, and get dirty. The hammer also comes equipped with a magnetic nail starter for one hand nailing and a large striking face for solid contact. The Flex Claw retails for $19.99 at Sears, so it’s a pretty good value considering it's a pry bar and hammer built into one tool. At almost $1,500, this is the priciest gift on our holiday guide this year, but for good reason. A table saw can be a very dangerous piece of equipment and it causes plenty of hand injuries every year. 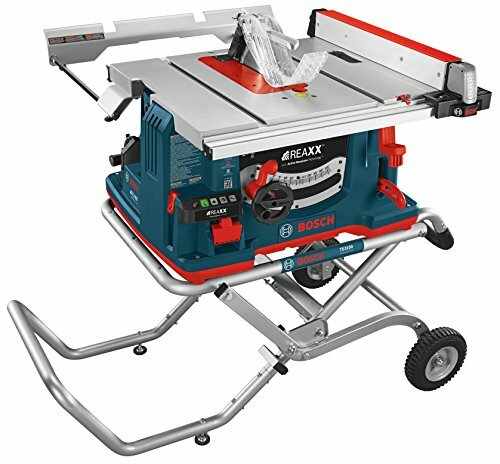 The Bosch REAXX table saw is a fully mobile, saw/stand combination that can detect human flesh and activate Bosch’s proprietary Active Response Technology, which drops the blade below the table top if flesh gets too close. It essentially eliminates the possibility of ever badly injuring your hands on a table saw again. You can't put a price on safety. 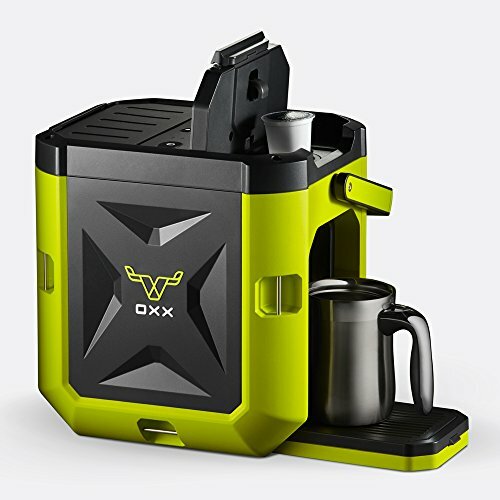 The Coffeeboxx is the pinnacle coffee machine for the job site when it comes to toughness, so much so that the creators even set an entire Jeep on top of it. The machine is crush proof, dust proof, spill proof, rust proof, and impact and water resistant. It also uses k-cup technology, so there’s not need to haul around coffee grounds and filters. We’ve written about the Coffeeboxx in the past, to read more and to see the video of the Jeep being set on them, click here or visit oxx.com. Due to the amazing advances made to lithium-ion batteries this year (see above), higher capacity tools are dropping the cords and powered by batteries. 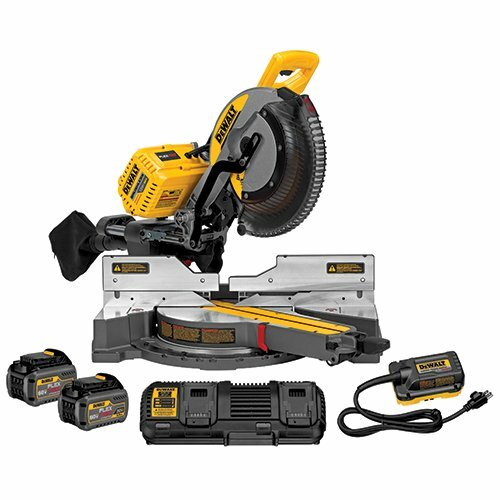 The 3 standouts this year are the 12" DeWalt 120V FLEXVOLT Double Bevel Sliding Miter Saw ($699 on Amazon), the Milwaukee M18 FUEL 10" Dual Bevel Sliding Compound Miter Saw ($599 at Home Depot), and the Ridgid 18V 7-1/4" Cordless Dual Bevel Sliding Miter Saw ($349 at Home Depot). Depending on your size needs and price point, any of these saws would be a great gift. 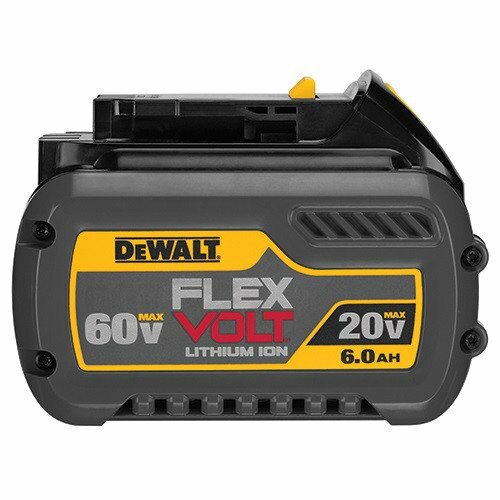 The DeWalt saw does have a major advantage due to its AC adapter, which allows either battery power or corded power to run the machine, but it's also the most expensive and requires 2 batteries. If you're constantly moving from one job to the next, you know the value of a good mobile cart system for your tools. 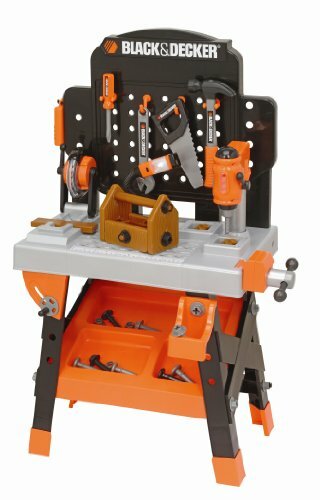 This 22 inch Ridgid model is stack-able with three other smaller organizers for tools and organizing hardware. 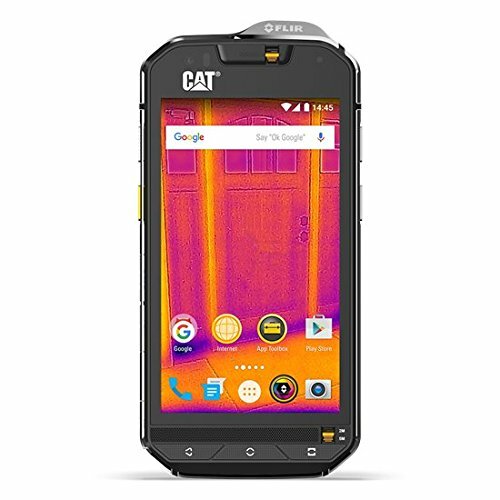 The CAT S60 smartphone isn’t just a nice piece of technology; it’s super rugged, just like you’d expect from the company that produces tons of heavy construction equipment. With the ability to withstand drops of close to 6 feet (1.8 meters) and stay under water at depths of over 16 feet (5 meters) for over an hour, this may be the most rugged and technologically functional phone for the construction industry yet. It’s so tough that it actually EXCEEDS military specs. If you’re a plumber, it means you can actually take pictures under water. It's also the first ever phone with integrated thermal imaging technologies. The thermal imaging camera, powered by FLIR’s Lepton Thermal Microcamera Module, has a range of 50-100 feet and can see through smoke. The Jabra Steel ($99.99 on Amazon) meets military standards for toughness and is shock, dust, and water resistant. Weighing in at only 0.35 ounces (10 grams), you’ll barely even notice it hanging out on your ear. 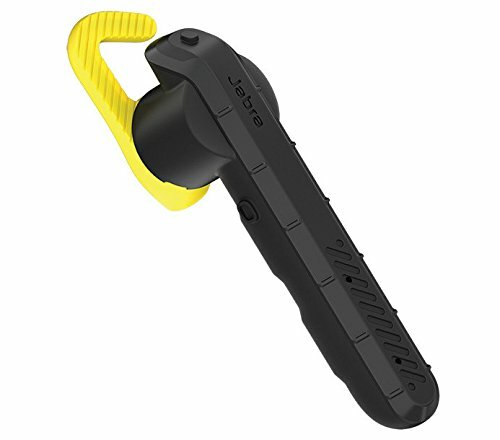 The headset is complete with HD voice and dual-microphone noise cancellation technology that is extremely necessary on a construction job site. With a battery capable of handling 6 hours of talk time and a “power nap” function that save battery charge, you’re covered all day. Large buttons allow even those wearing gloves to answer calls without fumbling around. Since it’s water and dust resistant, there’s no need to worry about taking the gloves off either. If you're on a jobsite that allows headphones to listen to music and podcasts, Bluetooth is definitely the way to go. As new tools are becoming almost exclusively cordless, it only makes sense that headphones should drop the cords too. At around $25, these Mpow headphones won't put you in a bind if you lose or damage them. If you're working at a home workshop or DIYing, the noise cancelling feature is a must, as well. The Ryobi Garage Door Opener doesn't just open and close your garage door like some boring garage door opener and closer device, it's an entire garage SYSTEM. This battery backed up opener is wi-fi enabled, so you can control it through your smartphone. 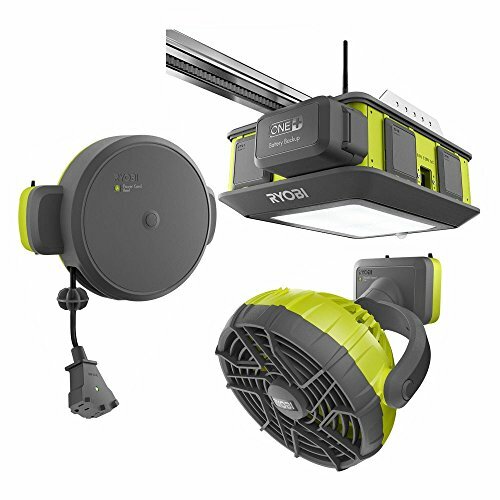 It also has a few optional and awesome accessories if your garage doubles as a workshop: a retractable cord reel, a fan, Bluetooth speaker, and a laser park assist. The opener itself comes with 2 car remotes, wireless keypad, interior wall control, safety sensors, 3-piece rail, garage door opener, and mounting hardware. The Ryobi Battery is sold separately. 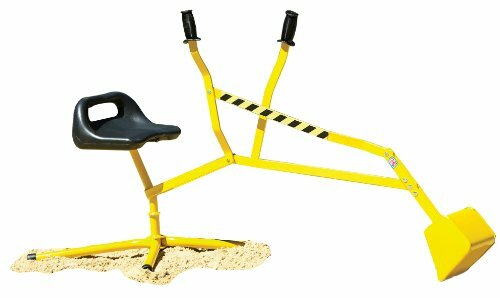 Give your kid's sandbox a boost with a ride-on working crane. He or she will be making large moat excavations or burying action figures in no time with this machine. We know kids love playing with toy trucks, so what could be better than letting them safely operate one of their own? You can grab one on Amazon for around $35. This thing is actually kind of amazing and I’m a little upset that I’m too big to ride in one. 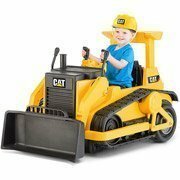 Kids love playing with toy construction equipment, but getting to drive it around has to take that joy to the next level. Topping out at a whopping 2.5mph, the bulldozer is also equipped with diesel motor and other construction sounds. Also comes with a CAT hard hat, because, safety first. 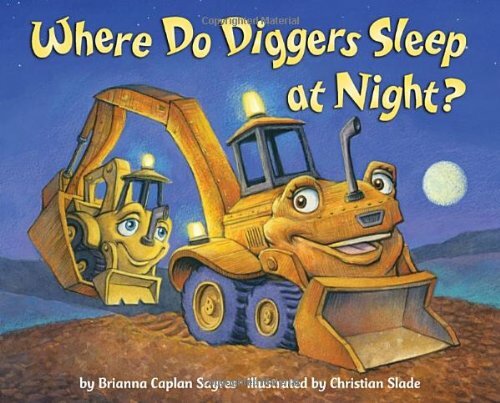 Written by Brianna Caplan Sayres, "Where Do Diggers Sleep at Night" is a collection of harrowing tales of how heavy machinery goes to bed. The bonus for parents is that it will hopefully teach your kids some valuable lessons about bedtime rituals and getting plenty of sleep, so you can head downstairs and catch the latest episode of The Walking Dead. it's probably a safe bet that you're not going to let your toddlers play with the real power tools in your workshop, so give them the next best thing: a plastic workshop! It will help them learn tool names and how each one functions, without the hassle of constant hospital visits. My niece actually has one of these and she knows more about tools than her parents do now. I wish I was joking about that.